Our state certified home inspectors encourage you to accompany them during the inspection. While you may have walked through the home several times, have you had the opportunity to really see the property? This is your chance! Our home inspectors will uncover and explain all problem areas, remaining life issues for building materials, recommended maintenance, and more. In addition to sharing a wealth of knowledge pertaining to your particular property in person, we will send you a full report with color photos and narratives for everything discovered during the inspection. We email or fax this report on the same day as your Florida home inspection. Why hire a company that specializes in insurance repair work for a home or property inspection? With a wealth of knowledge related to construction, restoration work, and property damage, All Elements Insurance Restoration is the perfect choice for Florida home inspections. As an added bonus we include a FREE RecallChek Report and a 90 Limited Warranty at NO ADDITIONAL CHARGE. 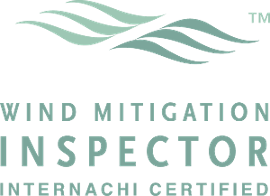 While our dual licensing as state certified general contractors and public insurance adjusters allows us to specialize in insurance restoration work (such as repairing water, fire, and wind damage), we also put our expertise to work as Florida state certified home inspectors (license # HI6917). 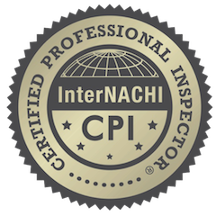 We are also members of the largest organization for home inspectors, the International Association of Certified Home Inspectors (InterNACHI). Wouldn’t you prefer to have an experienced home inspector who spends each day inspecting, researching, and repairing damaged buildings over one without hands-on repair experience? We evaluate property from a unique perspective – we seek out all deficiencies and understand exactly what it takes to bring a property up to code. If you’re thinking of buying a home in Florida, count on All Elements Insurance Restoration for a thorough home inspection. Our property and home inspection prices vary based on multiple factors such as square footage, age of the structure, and property type (i.e., single family versus condo or townhome). We generally beat our competitors not only on price but on the quality and thoroughness of the report. For a free quote or to schedule your Florida home inspection, call us at 772-466-1178. A FREE Appliance Recall Check provided by RecallChek – One in every ten homes inspected has unsafe appliances and in many cases these appliances may have a recall. If the appliances such as the oven, air conditioning system, or water heater have been recalled we will find it and notify you of who you can contact to have it repaired for free.